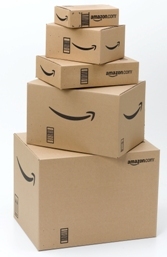 How to Get Free Shipping On Just About Anything at Amazon! The majority of items sold and fulfilled by Amazon are eligible for FREE Super Saver Shipping with a minimum order of $25+. The item will be clearly designated as “eligible for FREE Super Saver Shipping” next to the price. Select Free Super Saver Shipping when you check out and your order will be delivered within 5-8 business days. It’s best to wait until you need a couple of items if you want to get Free Super Saver Shipping but sometimes you’ll find a great deal on something that you don’t want to miss out on, but that isn’t quite $25. Smart savers know about something called “filler-items” which are very inexpensive items you can add to your cart to bring it up to just the amount needed to reach Free Shipping. You can view my recent post on some cheap pet items for under $5 that are perfect as filler items! Amazon Prime Shipping 30 Day FREE Trial Membership: If you haven’t been an Amazon Prime member in the last 13 months, you can sign up for a no-obligation, free trial membership here . Just cancel before the trial is up if you decide you don’t want to continue with the annual $79 fee. FREE Amazon Mom Shipping: Amazon Mom is a free membership program created especially for parents and caretakers of small children. Amazon Mom members receive benefits such as three months of FREE Two-Day Shipping with Amazon Prime (with the potential to earn up to one year total of free Amazon Prime shipping benefits), 20% off diapers and wipes which are auto-delivered to your doorstep with Subscribe & Save and other promotions geared toward parents. Learn more about Amazon Mom Free 2-Day Shipping Membership here. FREE Amazon Student Shipping: Similar to the Amazon Mom memberships, Amazon Student is a free membership program created especially for college students. Amazon Student members receive six months of FREE Two-Day Shipping with Amazon Prime and then are eligible to continue for just $39 per year after that! Get all the details about how to qualify for Free Amazon Student Shipping membership here .